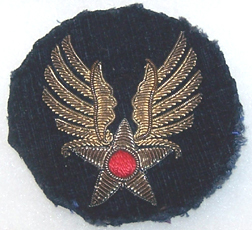 CBI Made Bulion Army Air Forces Headquarters Patch. Dark blue velvet background with gold and silver bullion details. Used.